Yin Fire Rooster Feng Shui on 3rd February 2017 (according to Hsia Calendar on solar year 2017) begins the new Feng Shui 2017. Hsia Calendar of the solar new year of Li Chun (Spring - 立春) for Flying Stars 2017 Feng Shui begins on 3rd February 2017 and you should be preparing all the necessary cures and preventive measures against all the bad stars like illness Star 2, quarrelsome Star 3, 5 Yellow, Violent Star 7, Tai Sui and Sui Po. These are the simple basic rules that what you are doing will be having the right cures in sectors that will be affecting your health, wealth, career, etc in order to gain a healthy lifestyle and good fortune in 2017. You should start to look into the 9 Lo Shu Square Trigram Grid and do what are necessary to avert the coming issues in 2017. Star #1 (Water Element) - From South-East Sector to center for 2017. Center has earth energy, the Star #1 water element will aid the earth energy and you will be able to tap this sector for your career, money investment, business, education with positive outlook. You can take advantage of activating this sector using calculator, pens, abacus or things relating to study for your academic success. As for building career, utilizing a pot of coins with multi-countries currencies will help to promote your advancement or promotion. Secure your wealth by using Tsai Shen Yen which can assist with your business or career. Best to avoid will be Fire element but instead using water element to boost your wealth. What you can do is using blue color scheme to boost your success. Star #2 (Earth Element) - Relocate to North-West from the East Sector in 2017. Avoid this sector at all cost! This is a bad star as it has the effect of causing sickness or illness. No matter what is the circumstances, please be advice not to activate this sector otherwise you will feel the effect of getting sick without any reason. If your bedroom is located in this area, then you will encounter the ill effect of bad health, sickness and family disharmony. You will definitely need to apply the right cures as to reduce this effect like placing salt-water cure, brass wulou, 6 metal rod windchime tied with 6 chinese coins using red string. This will help to suppress the effect of Star #2. Star #2 is earth element and using the metal element will help to drain the effect of Star #2. Placing brass wulou or 6 metal rod windchime can assist with this sector. If this is bedroom location, try to sleep in another room in order to avert disaster. Once again, the thumb rule will be avoiding renovations, digging or any sort of noisy work in this area as not to disturb the effect of Star #2. Avoid having red color element as it will activate the bad star #2 making it worse for you. Trying using colors like gold, white or silver for table cloth, floor mat, carpets, cushions, etc. This will help to reduce some of the bad influences from this illness Star #2. You can place metal singing bowls or any round metal bowls to keep it at bay for the effect of Star #2. Star #3 (Wood Element) - From North-West Sector and locate at West of your home. Since this star #3 is known as the Quarelsome star which means you better avoid activating this area otherwise you will need to face the consequences like quarrels, fighting, assaults and legal matters with friends, relatives and colleagues. It is the best idea not to mess with this star if you desire to survive in 2017. Better safe than sorry as you need the right the right solution for cures as to avert the effect of Star #3. West is where Grand Duke (Tai Sui) resides in 2017 and resides between 262.5-277.5 degrees west in 2017. This makes things worst for this sector. This means you need to use a 6-rod metal windchime to suppress this effect. As usual, you are NOT to face within this 15 degrees otherwise you will definitely encounter obstacles, financial losses, demotion in career and business failure. It is ALWAYS recommended that you have your back facing Tai Sui (Grand Duke) as you will gain the support instead. One of the way will be not doing anything around this sector. Leaving it as quiet as possible as not to aggravate it will be the best solution. So, this means no activities of renovation, digging or moving things around for this area. But if this cannot be done then you will need to reduce the bad effect of Star #3 by using red colors element since the Star #3 is wood element. Based on the destructive cycle, Fire destroys wood therefore using the fire element will aid the reduction of this star effect. Using fire candle, red lights or any objects that are relating to fire element will help you with this sector. To keep this sector with peace and harmony, you can place Fu Lou Shou to maintain order. Star #4 (Wood Element) - From West to locate at North-East Sector. A good star that will give you the opportunities of romance, relationship and good education. If you activate this star, you will enjoy the benefits of Star #4. Being wood element for Star #4, you can utilize water to activate since the Productive cycle of the 5 elements is water produces wood. Once again, being wood element, it will be best to avoid fire element as it will destroy or deplete the effect of this good star. So, try not to use red lightings, candles, red clothes but using blue or black colors elements on floor mats, table cloths, pillow covers, etc instead. This will help to activate this sector with water element. Please note that metal element will deplete this sector therefore needs to be avoided. If you are in a relationship, then using Double Happiness or Mandarin ducks promotes romance. To summaries, you can utilize this sector for education, career or travel if front door is located here. Water element can assist to promote romance, career advancement, academic success and self development of intellectual wisdom. Star #5 (Earth Element) - From North-East location to South sector palace. This star is classified as one of the worst star out of the 9 stars in Loshu trigram. To avoid complete disaster, please be advice to totally avoid this sector for 2017. Be warn that you should never disturb this area at all cost should you treasure your happiness. This is Misfortune / Sickness Star that is feared by everyone who knows about its effect of bringing disasters of bad luck and ill fortune. Please be aware that all sorts of activation in this sector will bring you accidents, financial losses, illness, sickness, mishaps and total destruction of poverty with this combination of 5 Yellow. Best solution, avoid at all cost to leave this area alone. If really not possible, then you have to prepare the cures like using salt-water cure, windchime, round metal bowl or singing bowl to dissipate the bad energy influences caused by the 5 Yellow. Never place any Fire element in this sector as it will promote the ill effect by activating it. Word Of Advice again: NEVER disturb this corner if you do not want to have financial losses, robbery, arguments, heated disputes, family discord, misfortune, lawsuits, illnesses, fatal accidents, disharmony and legal problems issues. Remember DO NOT take this lightly as it definitely can have the amplification of misfortune and disaster for your whole family with Star #5 and Sui Po effect. Star #6 (Metal Element) - Moved from South to North palace in Lo Shu Square. This is a good Star that has the effect of being Benevolent or Recognition which helps you to achieve the highest recognition in your life. It is time for you to tap this good Star to help you with your fortune, career promotion, business, educational studies and leadership. Activating here using earth element will increase the effect of Star #6 to help with higher recognition of achievement for your life. Star #7 (Metal Element) - From North to South-West palace. The result of this star will give you the bad effect of negativity for robbery, family disharmony, burglary, gossip, violence attack and fraud. If your office is located here, then you will likely to face bad luck, arguments, backstabbing and loss of wealth. Avoid placing any sort of metallic objects as it will enhance its bad effect of negative energy making it worst for you. If your office is in this sector then you must take additional steps to clearly check and read any fine print before signing orders, receipts or contracts otherwise you may ended up loss of wealth. Or if your main door happens to be located in this palace, then you must include security system as to avoid theft or burglary. Always check and confirm that all doors and windows are closed and locked before leaving your house and during your nap as well. Star #8 (Earth Element) - From South-West to East palace in 2017. Being a Wealth Star, it will help you to bring good fortune to your house if your front door is located here. 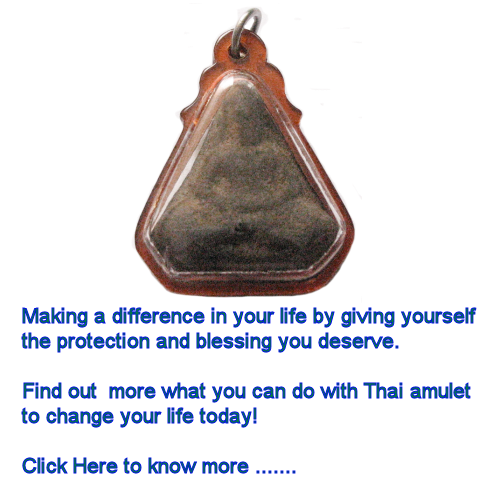 You can activate this palace to bring in enormous wealth luck and promoting career advancement or business wealth. You will be able to tap lots of business opportunities for wealth, fame and financial gains. This is a good opportunity to gain all the positive energy that wil attributes good fortune, wealth for business or career advancement. Unfortunately, East (52.5-127.5) is the location and direction of the Three Killings in 2017 as well as Sui Po is located in the East in 2017 (The year breaker). You can activate this sector but take caution as not to disturb this area to avoid 3 killings and Sui Po effect. Should you be looking for relationship or romance then it will be good to tap this sector using Mandarin ducks or Double Happiness for activation. It is good to pay a little more attention with regards to your health as you might neglect it with the abundance of wealth you can achieve while working hard. Using a 3 legged frog in this sector can help to bring in good fortune and wealth. Star #9 (Fire Element) - From East to South-East palace in 2017. 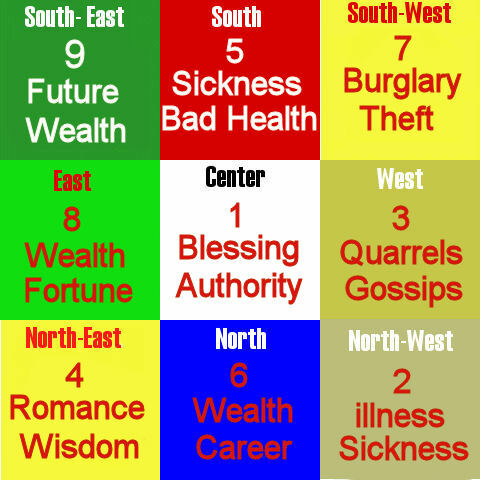 This is your future wealth Star #9 and if you tap this sector through financial investment of stocks or real estate, you will have the chance of gaining abundance wealth and fortune. If you are still under the roof of education, you will likely to gain great academic results. This Star #9 will help to gain all good fortune and achievement from the hard work that you had built in the past while you reap the fortune and wealth. It is like you plant your seeds now and gain great fortune in the future to come. This will be a good sector to pursue your career or education as it will help your success. Being the element of Fire, you can use wood element to enhance its effect to activate this area. One thing to take note as not to have water element since it will reduce the effect of Star #9. Healthy plants and flowers will help to enhance it here. With all the good luck and fortune of Star #9 in the South-East that you can tap and build your future.